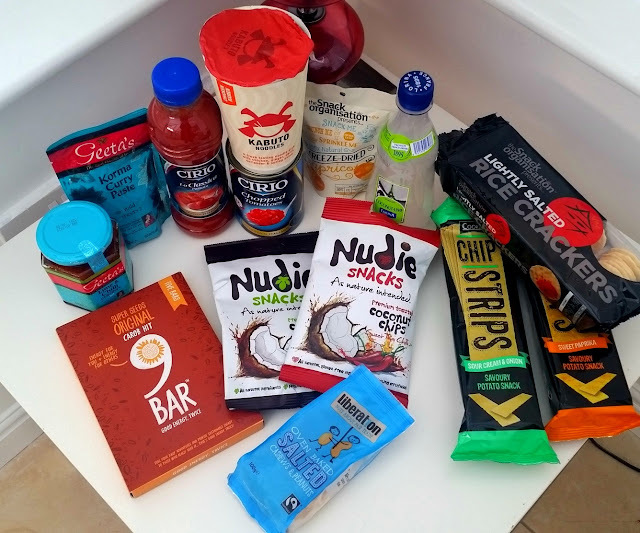 Its that time again to review my monthly food subscription box! 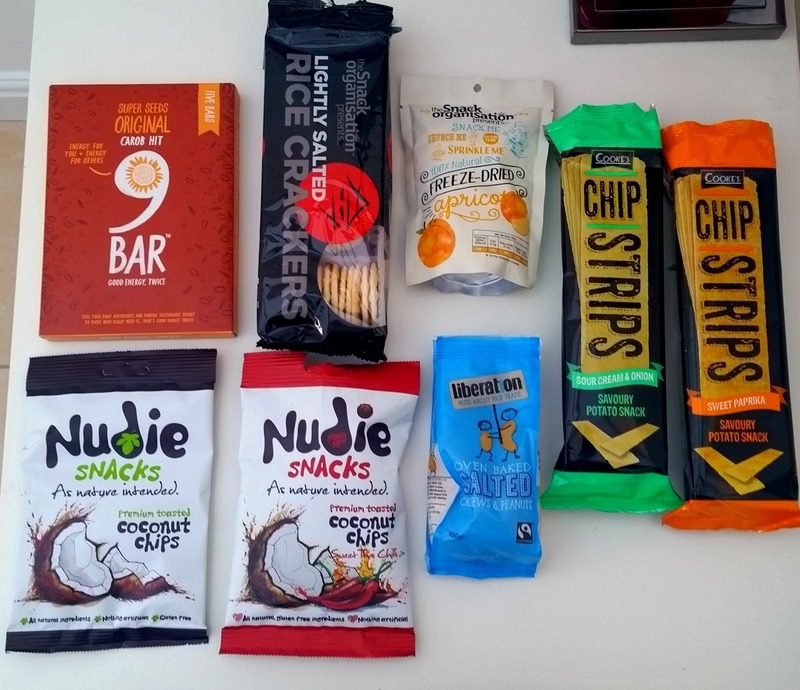 This month was varied in products, and although it was lacking something sweet, it was perfect for those savoury kinda people! Firstly, can we appreciate how pretty the chutney's packaging is? I loved the colours and the almost holographic design it had going on. Anyway... onto the food! 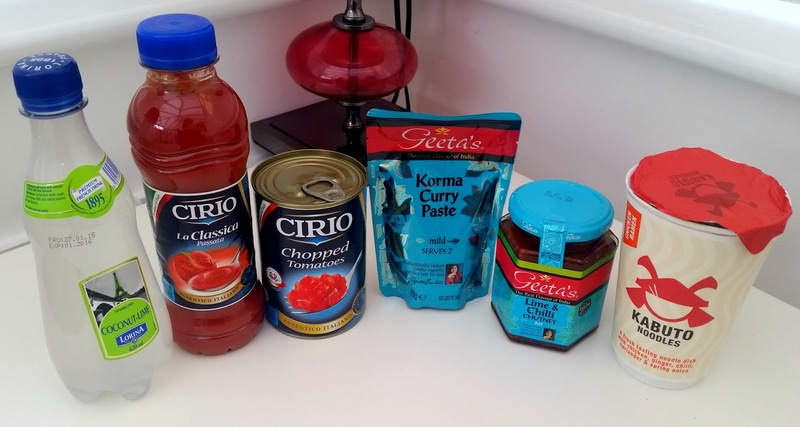 I will admit - I haven't tried this one out yet, but I don't have any hesitations whatsoever - I've tried Geeta's before and they've been just fine. We love a good curry in this house, but I've been trying to healthy eat a little the last few weeks, so haven't had chance to sample this yet, but I definitely will very soon! I was a little sceptical about this flavour.. coconut and lime anyone? But the flavours just seemed to compliment each other perfectly. You could taste equal amounts of each flavour so nothing was too overpowering. I wouldn't hesitate in buying this again. So refreshing. I absolutely loved these - I (embarrassingly) wolfed the first 2 layers within 1 sitting. They remind me a little of something from Bombay mix if anyone has ever tried that? They're so moreish-ly addictive! A frequent product that tends to appear in DB but in different forms, so this was a love hate thing. We use tomatoes (of all kinds) in our house on a frequent basis for all kinds of dishes, however I was very pleased with this passata in a bottle. Squeeze the bottle and bingo. It seemed to easy and convenient, and the style of packaging (as opposed to passata in the cardboard 'tubs') is definitely something I'd opt for from now on. I will admit, this is still sat in my cupboard. Why? 1 because I've learnt that I'm not a lover of freeze dried fruit, and 2 because they were apricots, which is something I dislike. Either way, for any dry-fruit lovers, I can imagine these to be a perfect healthy and convenient snack to pop in your handbag! Who doesn't love a good bag of nuts? Even better if they have cashews in them! I was going to save these for Christmas, but couldn't resist trying them! I shared them with my partner and they went down well. Very flavoursome with the perfect crunch. Yum! This pack of original super seeds bars are nice. With 5 in a pack, they claim to give you energy because of all the seeds and fibre etc that is in them. I find these really filling but a little difficult on the jaw at times. I'm not really into seeded energy bars so I don't think its something I'd go out and buy again. My partner had these because I've tasted them before and thought they were pretty bland. It just so happens that my partner thought this too. I'm not a fan of thin noodles, and I found that flavour to be lacking. They remind me of diet noodles because of how flavour-less they are. Sorry Kabuto! These are different to say the least. They are huge long wafer strips that have a crisp/poppadum type texture, and I couldn't quite work out if I liked them or not! They were definitely packed with flavour, but the size of them I think would be more suitable for dipping? When I saw these I thought they'd be another take on the dried food products, however I tried the sweet Thai chilli ones first and oh my god.. I was hooked. So nice, with a hot kick at the end, but not too hot so I could finish the packet in one. I was sad when these were finished. I moved onto the original ones, they were still extra tasty but I preferred the flavoured ones. I am definitely buying more of these! I don't physically have this product to show you because it was in the form of a voucher, so next time we're food shopping, I need to pick this up because we're almost out of butter! I'm hoping for good things though as I'm pretty fussy on my butter (bit of a Lurpak lover!). If you like the sound of the Degustabox, why not try it yourself? I have a whopping £6 discount code for you to use at checkout, which will mean your box could cost a mere £6.99! Use the code BLDEG15 at checkout and watch the magic happen! Let me know if you decide to give it a go!